Rogue River, OR (May 23, 2016) – Wagner Meters is proud to announce the DataMaster™ app is now available for Android users complementing the previously released iOS version. 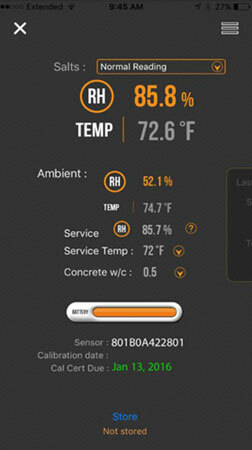 Contractors, flooring installers, and others who use relative humidity (RH) testing, either the Rapid RH®4.0 EX (single use) or Rapid RH®5.0 (reusable), can download the DataMaster™ app to help record and report the moisture condition of concrete floor slabs. Already recognized by industry leaders for innovation in the digital reporting of RH data, the original DataMaster™ was awarded Most Innovative Product, Industry Choice, at World of Concrete 2013 when first introduced three years ago. 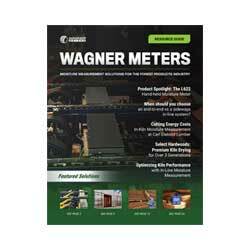 Wagner Meters transformed the DataMaster™ from wireless hardware to an Android application that provides an intuitive and easy-to-use interface for any Android-running device. The all-new DataMaster™ app is sure to be very popular for anyone testing moisture in concrete. It collects much more data than our earlier award-winning DataMaster™, and it does this with a smooth, clean interface. Now you’ll enjoy wireless, seamless flow of digital data from any Wagner Meters’ Rapid RH® sensor straight to your mobile device.